Volunteers make us a better genU! We LOVE volunteers here at genU and we are extremely fortunate to be supported by over 300 volunteers across our programs! Do you love meeting new people, and want to be apart of something truly rewarding? Are you are looking for the perfect way to gain industry experience, and get that dream career? If the answer to any of these questions is YES, then please apply! 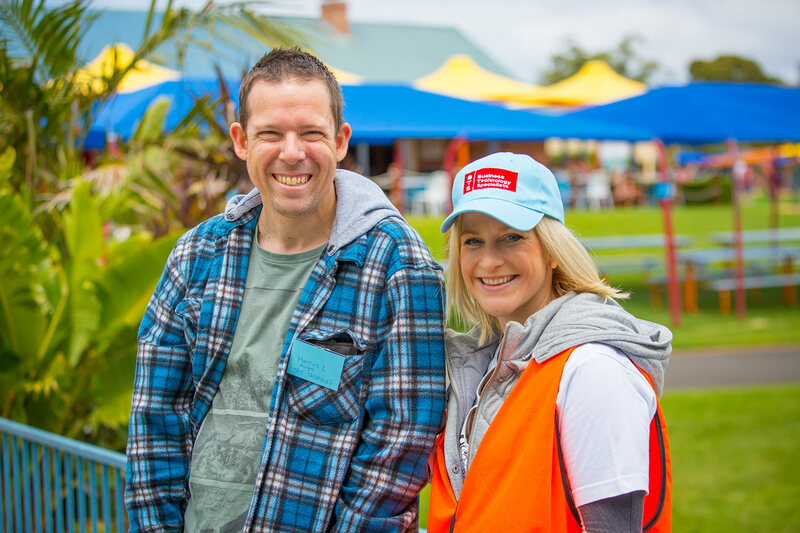 Hear from our volunteers across our disability and aged care services! If you are interested, please apply! Our friendly volunteers program staff will chat with you and seek out a role that best suits your lifestyle and motivations to volunteer. How to apply: Click on the FILL IN APPLICATION tab and we will contact you! The genU Eric Hart Day Therapy Centre offers a range of therapy services to people in the Geelong region. The individualised programs aim to improve capacity and/or prevent deterioration of function to help people remain independent, in addition to physical, psychological and social wellbeing. Do you live within the Mornington Shire or close by? And would you love to get involved in rewarding volunteer roles that truly make a difference to our clients? Activities range from indoor to outdoor, music therapy, art and craft, adventure, community inclusion trips, and gardening groups. Event volunteering is a fantastic way to get involved especially if your availability is limited! Volunteering with us for events is fun, rewarding, and memorable! 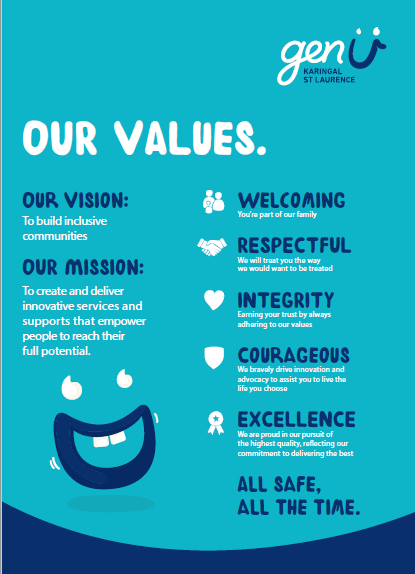 genU hosts a number of events each year within the Geelong Community. See our listings to look through where we need volunteers for events. We support you to apply, complete an easy online police check, and also chat with the relevant event organiser prior to the event so you have a good understanding of what help is needed and what your role would include. Please sign up for an event if you can commit to the time of year specified! genU Business Enterprises (formerly Karingal Kommerical and St Laurence Disability Enterprises) is an Australian Disability Enterprise and an initiative of genU based in Geelong and Colac. Enterprises provides employment for people with a disability in a supportive work environment, all while operating to the highest commercial standards. Volunteers offer on the job support where it is needed to help our business keep up with client demands, and help our employees with their job performance. Volunteering within our disability support services is not only highly rewarding but full of fun, helping people to create their own program and achieve their hopes and aspirations! It may be group activities led by staff, or it could be 1:1 support and mentoring. No experience necessary, training will be provided as part of your induction. We do seek out a minimum of 6 months commitment. For older people living in the Geelong community, our volunteer DoCare program coordinates volunteers who provide social support, regular contact and companionship. Our Residential Aged Care Residence, Costa House, delivers a range of services to meet residents’ health and lifestyle needs while providing opportunities for choice and independence. We are proud to host over 100 volunteers across varied roles that assist staff to deliver personalised care and support on a daily basis. At genU we have a range of service areas that provide opportunities for volunteers to get involved - including driving positions. If you are over 25 years of age, have a clear driving record, and a full driver licence, then we would love to talk with you about our driving positions. Click "sign-up" against one of our listed positions!